I've been kind of MIA lately, but life has been crazy, as I just moved into my first house and there's a whole host of new responsibilities. If I am still able to take on an expansion team, I am in for the new season. We missed ya!! I sent you a handful of emails trying to touch base with ya about the upcoming expansion. With not hearing back from you I had to go out and find another GM to take on the responsibilities for the new franchise. You seem like a good guy though and I really wanted to get ya in the league. 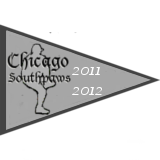 If you'd like, You can take over my team, the Chicago Southpaws. I can hang out and do the commish thing for a season or two and jump back in if/when we decide to expand again. That, or I'll be the first waiting list guy should someone drop out. Let me know if this sounds like something you'd be up for. No dude, I don't want to take your team ... It just doesn't seem right. You should definitely stick with your team, since you've been working on them for a couple years already. 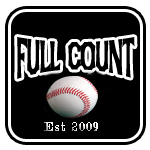 It's okay, one of my other OOTP leagues restarted and I didn't think it was going to be running, so I have maybe a little less OOTP time than I first thought I would when I first decided to apply here. No worries, good luck with the league guys! Honestly, I was thinking about giving up my team and taking an expansion franchise anyhow. It isn't a huge deal if you wanted to take my team over. Really sorry we didn't get ya in, Cole. I had a good feeling about ya and wanted to get you in. I guess it is what it is and perhaps the timing just wasn't right this time around? Don't be a stranger around here. You're more than welcome to hang out and if something opens up, I can shoot an email to you and see where you're at then. Of course that is if you'd be interested in something like that.